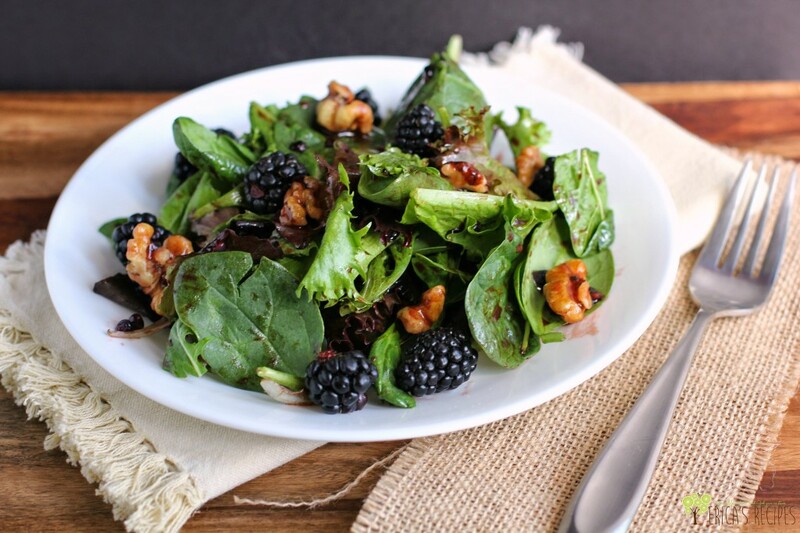 This super simple Blackberry Balsamic Vinaigrette Salad takes full advantage of the magic that happens when blackberries and balsamic vinegar get together. Sweetened with just honey, this healthful salad, with nuts and berries, is SO good. Last night, when making her lunch for school the next day, my daughter took a plastic container, added salad greens, and packed another little container with some of this dressing. This is a true story. MY daughter – with no prompting from me whatsoever – put salad, by CHOICE, into her school lunch. SALAD!!! Should I buy a lottery ticket? Did the magnetic poles flip or something?! WHAT cosmic force is at work here?!! Yep, blackberries are in season and we have been popping them like popcorn. So juicy and sweet, and blackberries have a deeper flavor that goes amazing with balsamic vinegar – a perfect pairing for a salad dressing. The fact that my kid packed this Blackberry Balsamic Vinaigrette Salad for lunch says it all! 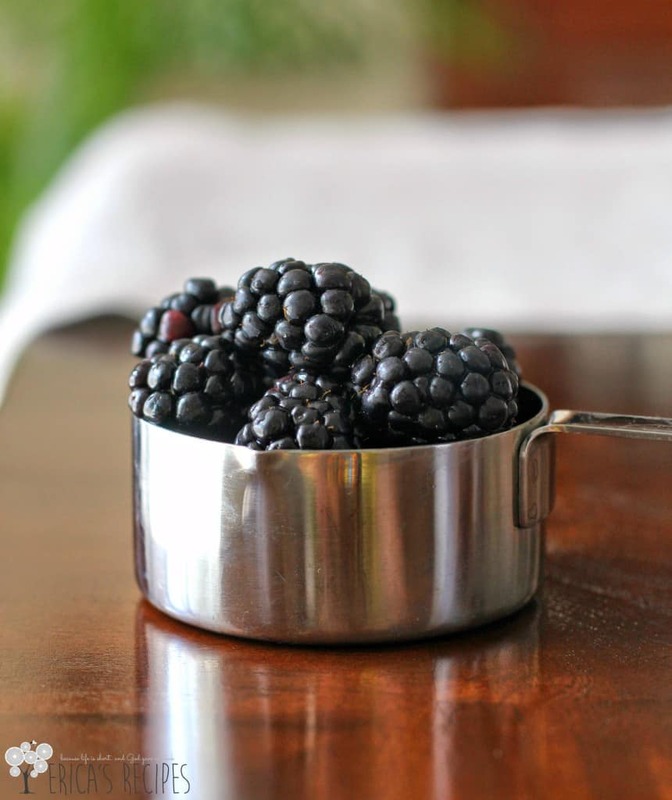 In a small bowl, break up the 1/4 c blackberries (using a muddler or fork helps). Add the vinegar, olive oil, honey, salt, and pepper, and whisk until until thickened. 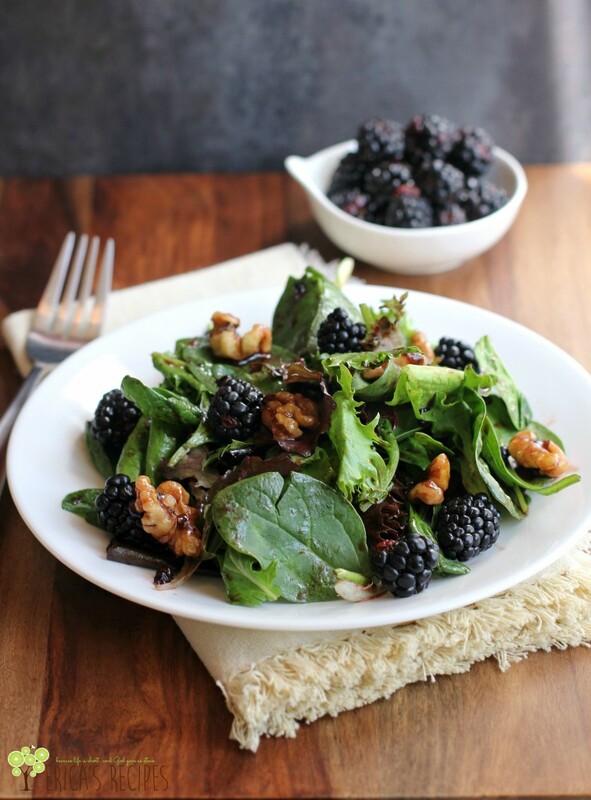 Toss salad greens in dressing and serve topped with walnut halves and additional blackberries. Serves 4. This salad is amazingly beautiful! And, I’m sure your vinaigrette is awesome! I grow blackberries and think they are just the best! Pretty color, healthy, easy to grow. Great! 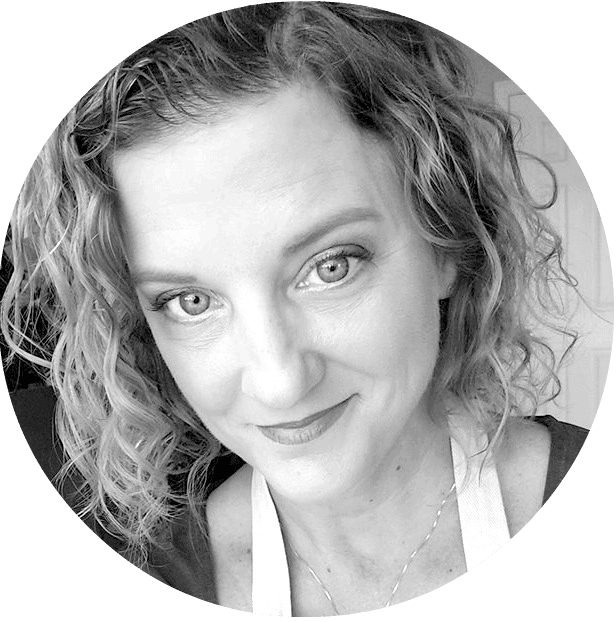 Thanks for sharing your recipe, I can’t wait to make it! Love, love, love this! We always have an abundance of blackberries and I love them in salad! I can’t wait to try you vinaigrette! This is a beautiful salad, I love blackberries and remember picking them with my grandfather as a little girl. Can’t wait to try this!